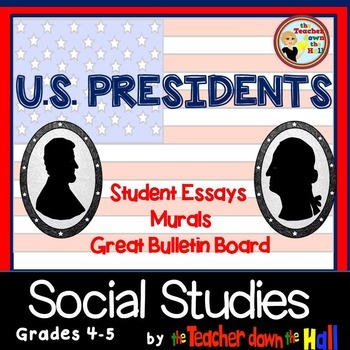 After a study of U.S. history or U.S presidents, this is a great way to have students show what they've learned about our presidents. Each student researches and reports on a different president, illustrates his president, and could even complete an oral report. It was a fun way to wrap up our year in 5th grade SS, and the products made a great bulletin board. My students loved this assignment!